What makes the ghd Professional Curve Classic Curl Effective on Short Hair? Are you one of those people who love to wear their hair in a pixie cut or a bob but get bored with it sometimes? You want to add some curl but you just never get them to come out right. Well, professional stylists will tell you that putting curls in short hair can be done right only if you use the proper curling iron to do it with. When talking to these same professionals about curling short hair the name ‘ghd Professional Curve Classic’ came up several times. Read along with us as we review this curling iron that is supposed to do a terrific job curling short hair. 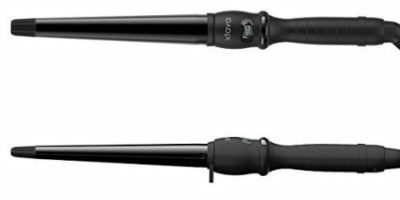 This curling iron only heats up to one set temperature and that is 365°F. 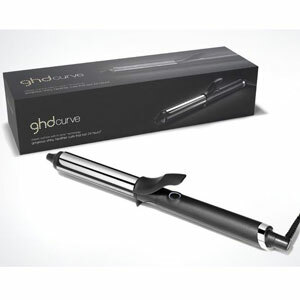 However, the ghd Professional Curve Classic is one of the most consistent temperatures generating curling irons you will find. This is due to their proprietary 6-point tri-zone® technology that ensures constant and even heating throughout the entire barrel length. 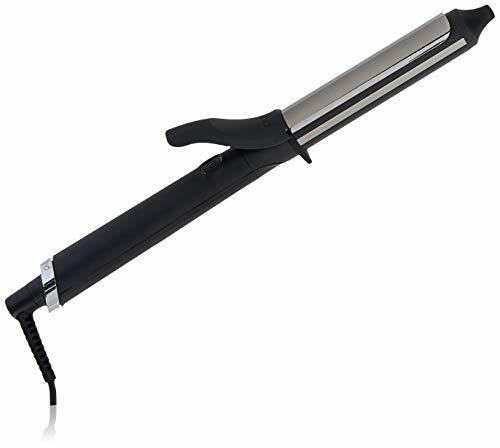 Another factor in the ghd Professional Curve Classic’s consistent and even heating is the fact its barrel is also ceramic coated. Ceramic coated surfaces are well-known for carrying heat to every point on the barrel so there are no damaging hotspots on it. Your hair will also slide easily across the ceramic coated surface on this curling iron as you use it. It also features an excellent spring clamp to hold your short hair in place as you curl it around this curling iron’s medium 1” size barrel. There is no temperature readout on this device but the on/off switch will light up to tell you when this curling iron is on. The power cord size on the ghd Professional Curve Classic Curl is an industry standard 8-foot cord with attached swivel end. This will help keep the power cord from getting tangled up as you use it. There are two reasons why we think this curling will work very well on your short hair. The first is that it has a nice working spring clamp to hold your hair as you roll it onto the curling iron. One of the most difficult tasks when curling short hair is holding it on a curling iron but the ghd Professional Curve Classic Curl’s spring clamp design even makes short hair easy to hold. As for the other reason, this curling iron works well on short hair look no further than it shorter length 1-inch diameter barrel. Since the barrel length is less than 6-inches you can easily move this curling iron wherever you want on your head. The 1-inch diameter barrel is a good size to use on your shorter hairstyle too. This curling iron comes with an OK 2-year warranty which is better than many curling irons that are in its price range but still not great. Among the biggest concerns, we have with this product is that you do not have the ability to choose the temperature you use it at and there is no digital readout to tell you what the temperature of the barrel is currently at. This curling iron definitely has both some good and not so good features. Even though the 365°F preset temperature will work great on most hair types it still would have been nice if ghd gave its users the ability to set the temperature themselves. Some of the things that we really liked about it are its easy to handle short barrel design and its excellent working spring clamp that works well for holding short hair. It is a reliable product that one can certainly consider when looking to purchase a new curling iron to use on short hair.